Google has improved navigation to make common actions more visible and gestures more intuitive. Physical buttons have been replaced with on-screen buttons and includes new animations and a System Bar to help navigation via Back, Home and Recent apps buttons. The new OS introduces a new typeface to improve readability on high-resolution screens. 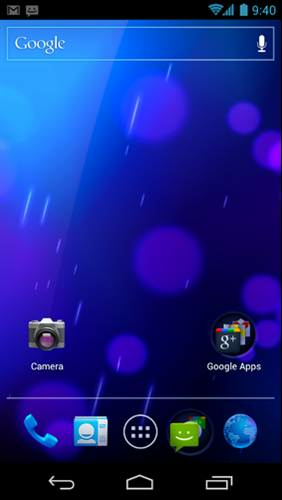 From slide lock screens allow users to pull down notification windows or jump to the camera application.